Journalist and DJ Matt Anniss arrives with an interview with both Winston Hazel and Parrott – Sheffield legends and people we always like to learn more about as we’ve got a soft spot for such things at Test Pressing and a mix from Winston Hazel joining all the dots. Quality stuff. Over to Matt. You should be hearing more from him at Test Pressing towers in future times. Dance music is littered with unsung heroes – those whose contributions during pivotal times in the sound’s development have largely gone unrecognized. This, of course, is partly a reflection of the way that the mainstream media has under-represented the cultural significance of clubbing and DJ culture over the last 40 years. According to the prevailing narrative, DJs and dance music producers have little wider significance: they’re simply men and women sound tracking soon to be forgotten nights out. Try telling this, though, to anyone who was there during the great British dance music explosion of the 1980s and early ‘90s. This was a fertile time for club culture, where escapism was highly prized, especially by those living in towns and cities feeling the devastating effects of government cuts and aggressive free-market captalism. Living for the weekend has long been a great British pastime, but rarely has it been more relevant than it was during the height of Thatcherism. It was at this time that unsung heroes began to emerge – a group of DJs and, later, producers who would unite dancers of all races and backgrounds, under one groove. Every city had their own heroes; in Bristol, it was soundsystem crews such as the Wild Bunch and Three Stripe, and the resident DJs at the influential Dug Out club. In Sheffield, it was Winston Hazel, and to a lesser extent his sometime DJ partner Parrot. Hazel’s story is not atypical. Like others of his generation throughout the North of England, he was turned on to DJing at an early age through breakdance culture. And like others with a passion for breakdancing, he would go on to help create a pioneering strain of British electronic music, bleep techno, at the turn of the ‘90s. By then, though, his fame had spread much further than the Steel City, thanks to the acclaim heaped upon the Jive Turkey parties he DJ’d at and co-promoted. I first met Hazel at some point during the 2000s, probably at the infamous Kabal parties that have done so much to keep the spirit of Jive Turkey alive over the past 15 years. Our meetings since have been sporadic, to say the least, but I got in touch again – via his old pal Parrot – last autumn, while researching an extensive article on “bleep” I’d been commissioned to write for Resident Advisor. We met at Parrot’s hilltop retreat in the Peak District, a far more genteel place than the Sheffield that Hazel grew up in the 1970s and early ‘80s. As a Sheffielder myself – and one that, sadly, managed to miss Jive Turkey – I’d always been fascinated by a party that is still held in high regard far beyond the city’s sprawling boundaries. I wanted to find out more about how it came about, its’ legacy, and how its’ principal characters would go on to become such a key part of the British electronic music landscape, albeit for a relatively short period of time. Hazel is warm and welcoming, a twinkle still in his eye. Parrot later described him – in the most complimentary terms – as “a dreamer”; a man who still sees the positive side of DJing and dance music culture, despite having spent the best part of 30 years in the music industry. It is arguably one of his most endearing traits, alongside a passion for music that still burns as brightly now as it did back then. Like many of his generation, it was the hard-wired beatbox sounds of New York and Los Angeles electro and hip-hop that changed Hazel’s life. It was through getting involved in Sheffield’s premier breakdancing crew, Smack 19, that Hazel began to DJ more regularly. He even became the crew’s unofficial spokesperson, appearing as an expert commentator on Yorkshire TV’s long forgotten breakdancing competition. It was through the breakdance scene that Hazel met many other dancers and DJs who would also go on to become British house and techno pioneers – the likes of E.A.S.E and Boy Wonder of Nightmares on Wax, and Gerald Simpson, later to spark the creative juices of Hazel and others with the peerless “Voodoo Ray”. Later, soul all-dayers – where DJs and dancers from across the North would gather to play and hear the latest underground black American dance music sounds – would foster a spirit of mutual respect, despite the natural competitiveness of the scene. With Parrot handing more of the older sounds – mixed in with the latest import records from the United States, of course – Hazel began to focus more on the cutting edge sounds that were emerging from Chicago, New York, and later, Detroit. The result was a mix of sounds and styles that would take in hip-hop, soul, funk, jazz, proto-house, house, early garage, electro and techno. It was a blend that proved attractive to both black and white crowds, especially as the 1980s progressed and Jive Turkey moved from Mona Lisa’s to the City Hall Ballroom and various illicit warehouse parties. It was one of these records, dropped into the shop by an anonymous guy who’d traveled all the way from Bradford, that changed Hazel’s life. It was the original 1988 version of “The Theme” by Unique 3, an astonishingly raw and bass-heavy record that would become the blueprint for bleep techno. Since his school days Hazel had been good friends with Robert Gordon, a soundsystem-obsessed reggae head who was making a name for himself as the in-house engineer and mixer at the FON Studio set up by Sheffield industrial funk band Chakk. Gordon had been a semi-regular presence at the parties Hazel played at the Occasions club. He didn’t “get” house, but there was something about techno – and the bass-heavy feel of “The Theme” – that interested him. That label, initiated by Robert Gordon, Rob Mitchell and Steve Beckett, became Warp Records. “Track With No Name” would be the outlet’s first single in the autumn of 1989, and go on to sell in huge quantities by today’s standards. A UK-wide tour, alongside other pioneering bleep acts, swiftly followed, making this duo from Sheffield – supplemented by Robert Gordon’s housemate Sean Maher, who penned much of the flipside of “Track With No Name”, called “Shall We” – amongst the hottest acts in British dance music for a brief period. All these years on, “Track With No Name” still resonates. Just like records from Cabaret Voltaire, B.E.F and the Human League before it, “Track With No Name” is a very distinctly Sheffield record. It packs all the punch of a steel hammer, while gazing skywards. When the present is bleak, you have to look towards the future. 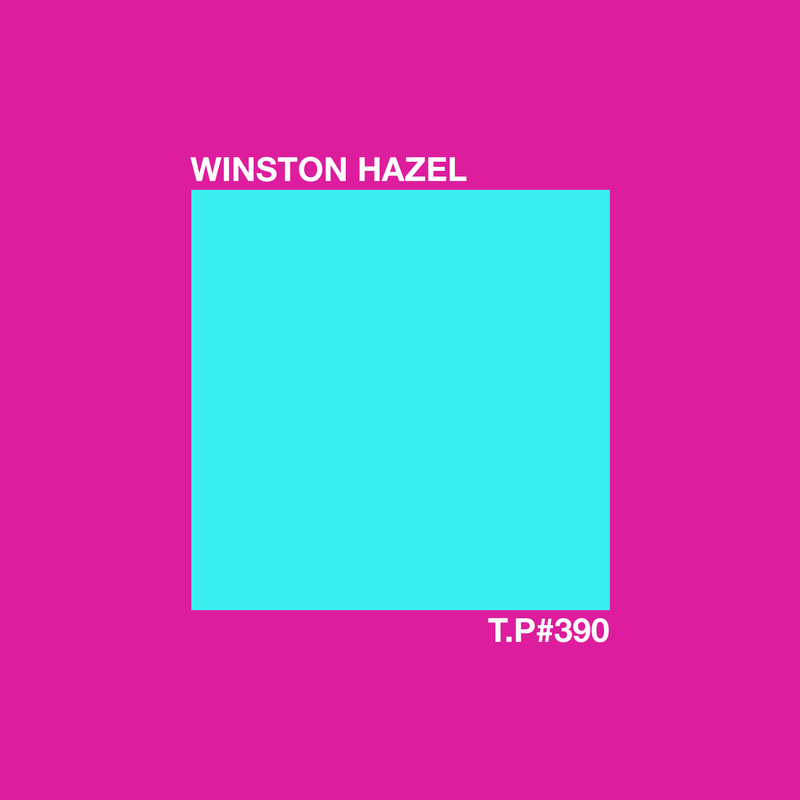 There’s no doubt that it remains Hazel’s greatest contribution to dance music, despite years of DJing and the promotion of various legendary parties. It wasn’t the only Forgemasters record, either, though their follow-up 12” – released on Network after Robert Gordon fell-out with the other Warp Records’ founders – failed to make quite as big an impact. The Black Steel EP does still contain some terrific material, though, joining the dots between house, electro and bass-heavy British techno in their own distinctive way. To celebrate Warp’s 20th anniversary, Hazel and Gordon re-formed the Forgemasters, performing a number of live shows and, later, a memorable Boiler Room session. There were plans for further performances in clubs and at music festivals, and even the possibility of an album containing material recorded – but previously never released – between 1989 and 1994. Sadly, Hazel and Gordon went their separate ways again before it could be released. Hazel’s studio exploits don’t start and end with the Forgemasters, of course, though little he has done since has been quite so potent. Even so, there’s more than a little of that bass-heavy magic in Supafix’s “Ghetto: New Yorkshire” – a brilliantly wonky, bass-heavy house cut penned with Ross Orton – and Hazel’s own powerful “Break-Up”, a 2013 12” produced in the wake of the Forgemasters’ second split. The sound of “Break Up” is, of course, very different to that of “Track With No Name”, doffing a cap to UK garage and broken beat as well as the bass-heavy house and techno with which Hazel made his name. It’s that bass-heavy sound that Hazel has been pushing forward at the Kabal parties he runs with best mate and frequent DJ partner Raif Collis. After 15 years entertaining dancers in Sheffield via events in unlikely spaces, Kabal will call it a day later this year. 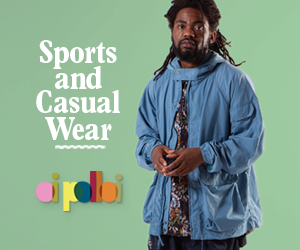 It was Kabal that gave the world Toddla T, most famously (it was Collis and Hazel who have Tom Bell his now famous alias, due to his tender years), and updated the “anything goes” ethos of Jive Turkey for a new generation. It’s perhaps fitting that it is now DJing, Hazel’s first love, for which he’s finally becoming recognized for outside of Sheffield. He still plays semi-regularly in the Steel City, of course, but is now getting out and about around the UK far more than he has done for some time (this Easter sees him playing in Glasgow and Bristol, for starters). Given his small but significant contribution to the development of British dance music, it’s no more than he deserves (particularly since he remains a terrific DJ). Still, though, it remains bleep with which he’ll be remembered. Winston Hazel plays Let’s Go Back at Le Cheetah Club, Glasgow, on April 4th, and Bedmo Disco Presents at Big Chill Bristol on April 5th.